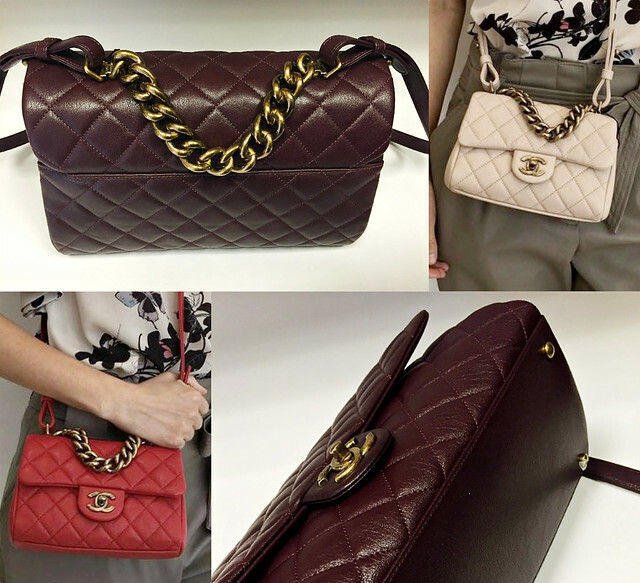 For this week's handbag chit chat, I wanted to share some information regarding Chanel's Pre-Fall 2016 collection. Please note that I haven't seen any of these bags in person. This is just what I gathered from my wonderful sales associates as well as from people I know who have purchased the items. I am not in the market for a Chanel bag anytime soon but 3 bags below have caught my attention. 1. Chanel caviar boys: When I purchased my boy bag, I really wanted a caviar one. However, it wasn't available at the time so I ended purchasing a calfskin boy. Even though it's been wonderful, the thought of having a caviar boy is always in the back of my mind. Knowing Chanel will be bringing back caviar boys this year, I was so anxious to learn more about it. Caviar boys were released a month ago in 4 color (only available in ruthenium hardware). 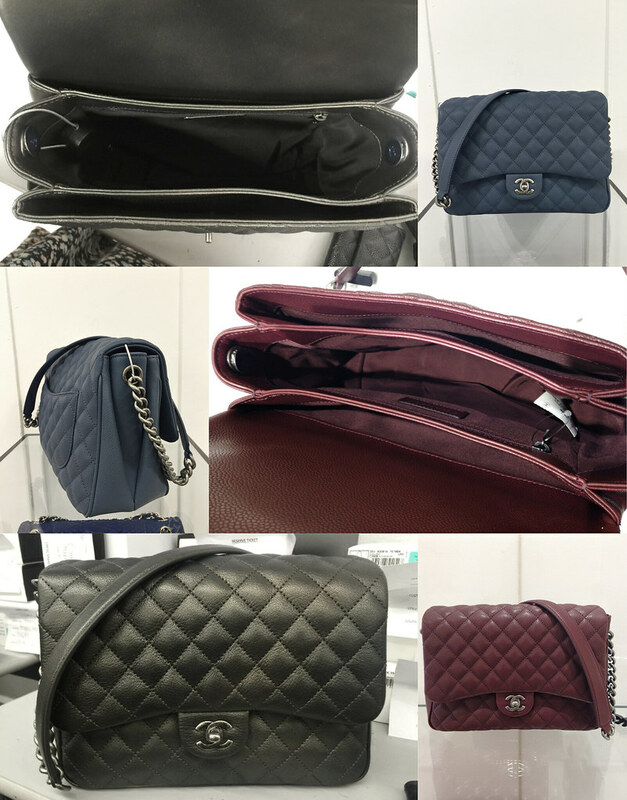 However, the caviar boy bags for pre-fall are made out of soft caviar leather (similar to the coco handle). I haven't seen one in person but based on feedback from those who bought the bag, it doesn't hold its shape like the classic caviar bags. 2. Chanel Rock in Rome: This is a new release this season. 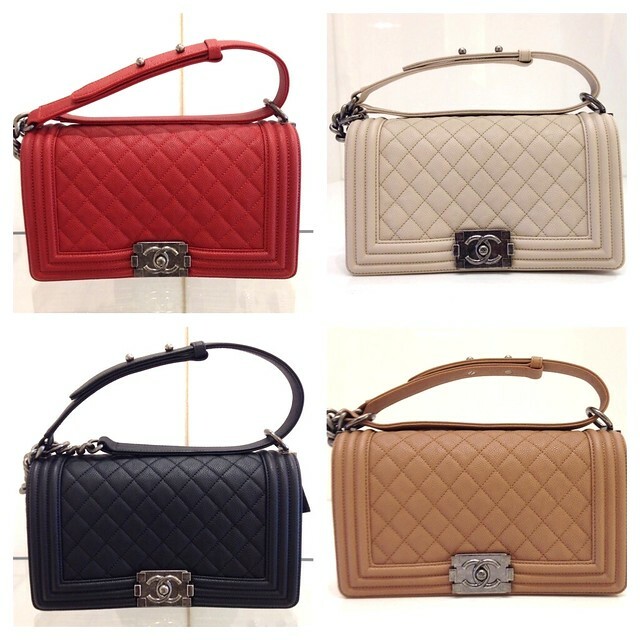 Available in black, burgundy and deep blue (the blue ones are not available at Chanel boutiques). It's however available at upscale department stores like Saks and Bloomingdale's. If you're a fan of the jumbo classic flap but don't like the $5500 price tag, this is a great option at $3100. It's super roomy (11"L x 8"H x 4"D) and the organization of the bag is excellent as seen below. I wanted to point out that this bag is a shoulder bag. At 12.5" strap drop, it is not long enough to be worn as a cross-body (only available in one size with ruthenium hardware). 3. Chanel Trapezio: This is a new release as well (I could be wrong). This bag is definitely my most favorite out of the 3 (especially the burgundy one). This particular bag is made out of grained sheepskin. It sounds so luxurious, doesn't it? Starting from $2700 for the small ones and $3400 for the large ones. Again, if you like the look of the classic flap but don't want to pay the price tag, this is another fantastic option. I hope you find this post helpful. Let me know if you have any questions. On a related note, I will have a medium Chanel boy in red up for sale next week. Please keep an eye out if you're interested. Have a great weekend! So lovely! Have a great weekend!